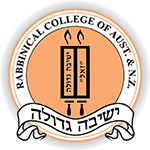 Academic Reports - Rabbinical College of Australia and N.Z. For security and privacy reasons, student reports are not accessible online. Comprehensive student reports are generally emailed to parents, on a weekly basis. The weekly email report and accompanying attachment contains information of the student's attendance, academic progress and other notifications.